In 1932, Vincent Krall, an impoverished medical student, sets out to create his perfect woman by reanimating the corpse of the woman he loved but could not possess. But in this dark tale of obsession, Vincent finds that a man cannot master life and death, and a woman is not so easily controlled. All that takes place in Madame Frankenstein from Jamie S. Rich and Megan Levens, a graphic novel debuting in February from Image Comics. Madame Frankenstein began as a drawing in artist Levens’ sketchbook. After she met Rich, the two began trading ideas, and the idea became a fully-fleshed story. 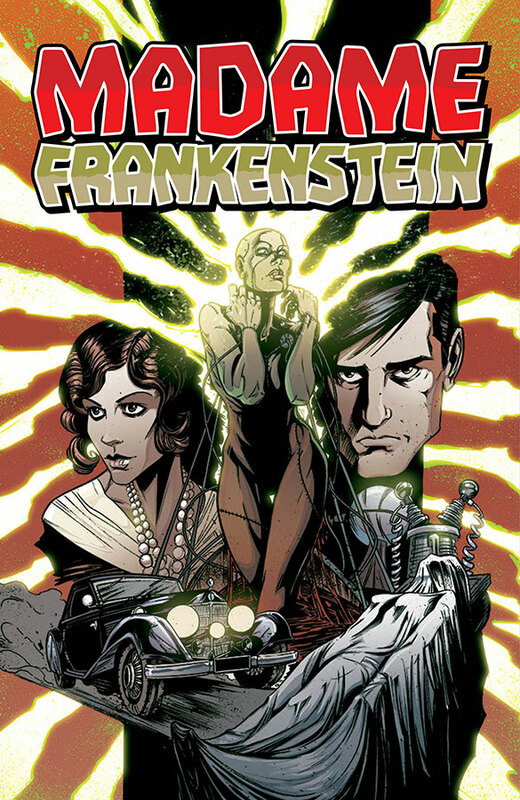 Rich is known for his romantic graphic novels, but Madame Frankenstein is far from a love story, as the creators explained. A graphic novel combining the horror of classic gothic fiction with the glittering tragedy of The Great Gatsby, Madame Frankenstein will be in comic book stores on February 25 and in bookstores on March 10. It is available now for pre-order. Madame Frankenstein hits comic stores on February 25 (Diamond Comic order code DEC140674) and bookstores (ISBN 978-1-63215-197-1) on March 10. Full press release below.